While sewing for the Henry Glass & Co. Desire to Inspire challenge, I stitched up a few hexies. I initially planned a table runner, but once I started laying them out, I had no where near enough! Pillow it was! I've been wanting to try fabric weaving for quite awhile, so I decided to try it out for the Henry Glass & Co. Desire to Inspire challenge too! 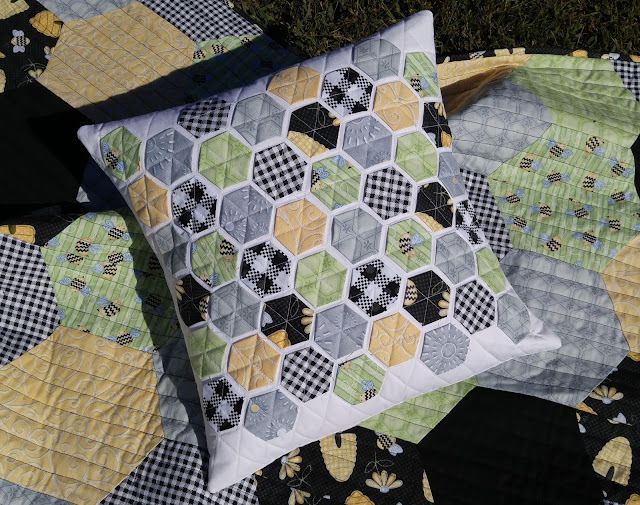 I stuck with a hexagon theme for the challenge, so it was only fitting that I turn the weaving into a hexagon pillow! This one has a 2" foam insert instead of a pillow form. 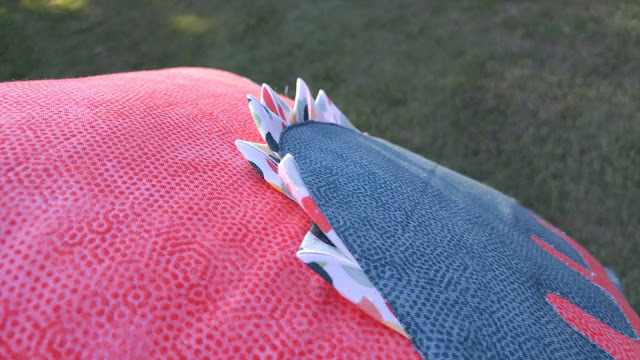 I tried it as a regular pillow, but the sides pulled the weaving out of shape. 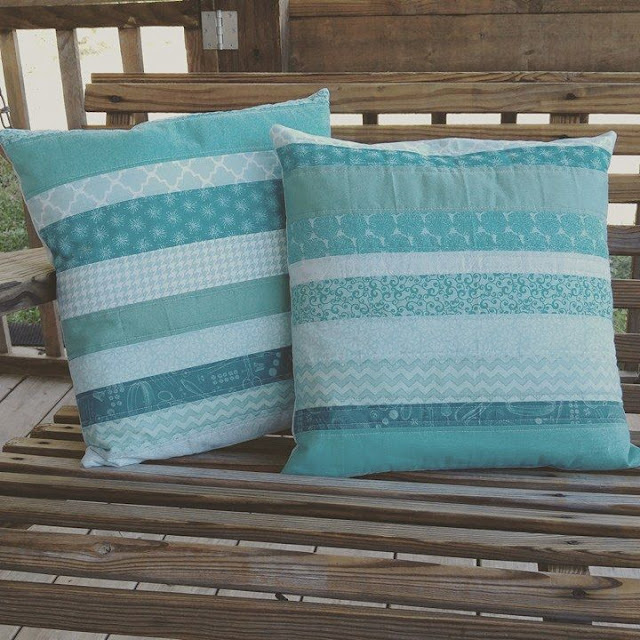 This pillow is unquilted and only sewn down in the seams of the outside edges. The weaving is what holds it all together! 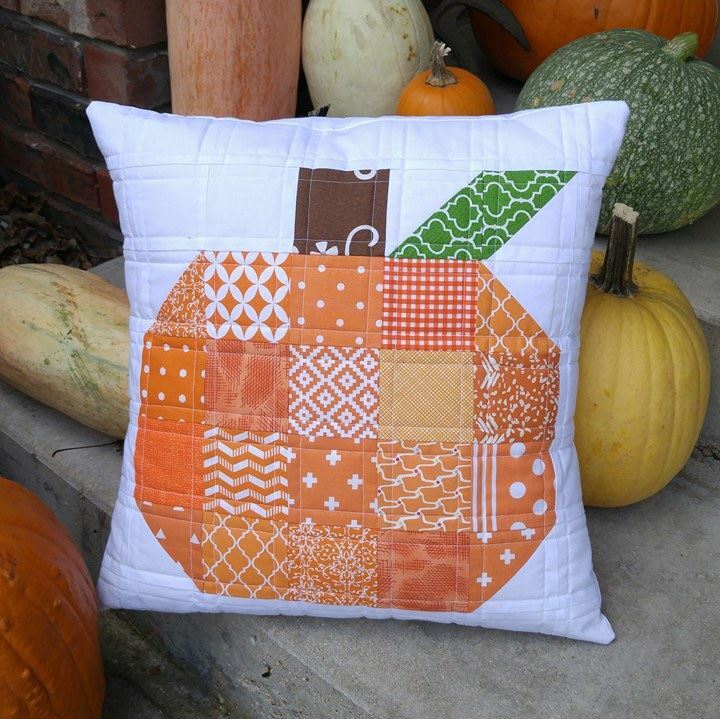 A scrappy pumpkin pillow has been on my want-to-make list for at least a year, if not two. I've had the orange fabrics set aside forever! I sewed up some half-square triangles and squares to make a pumpkin. I quilted it using straight lines 1/4" on either side of each seam - my favorite quilting method! The final pillow I made has been in the WIP pile for far too long! 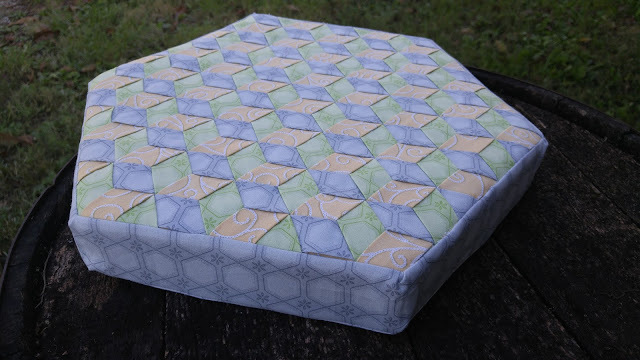 I originally made the paper pieced bat when pattern testing for Nicole of Lillyella Stitchery last October. I quilted it using 1/4" vertical straight lines. 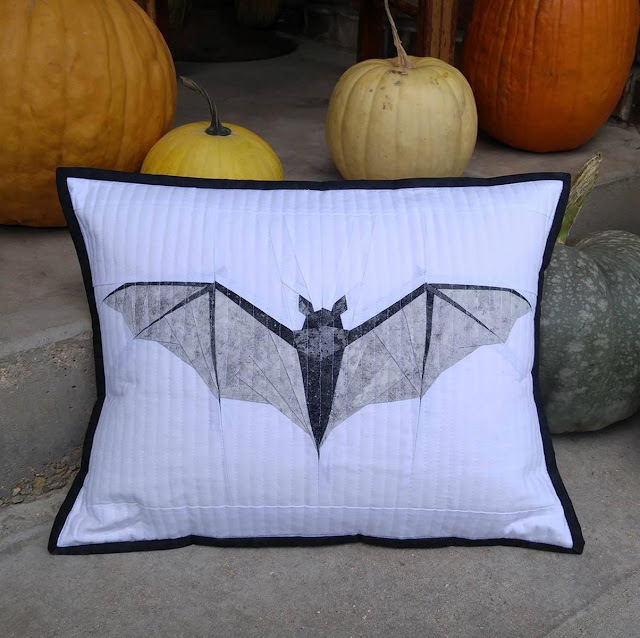 For this pillow, I added black binding to help frame the bat. This one is 12" x 16". I've loved all these fast finishes this month! 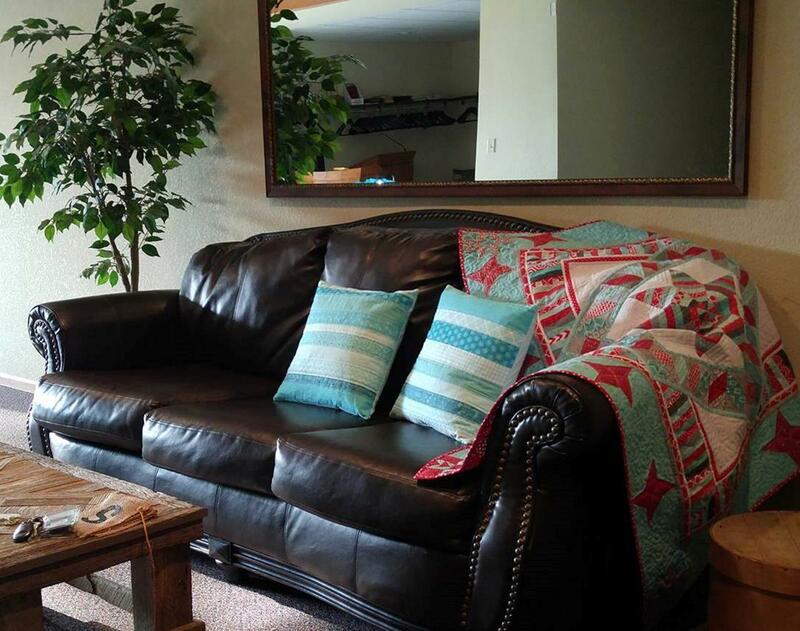 Seven different pillows! I think I need to invest in some more pillow forms! Have you made any pillows lately? Wow! 7 pillows! Love the weaving one! 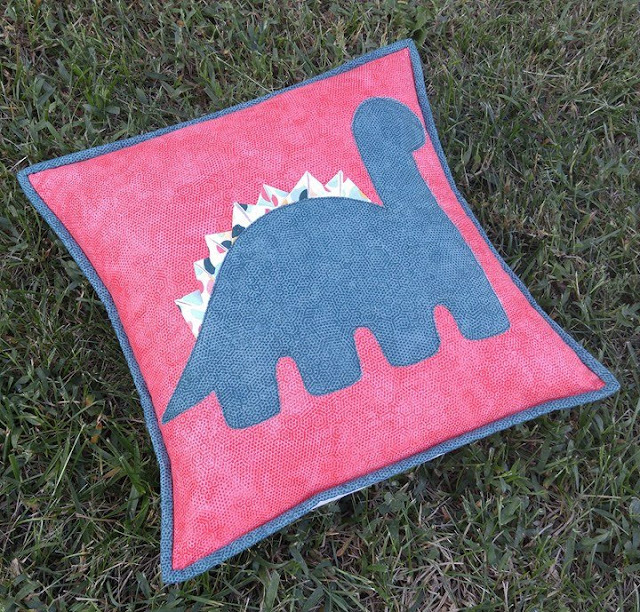 And you will definitely need to make a second dinosaur, too cute!